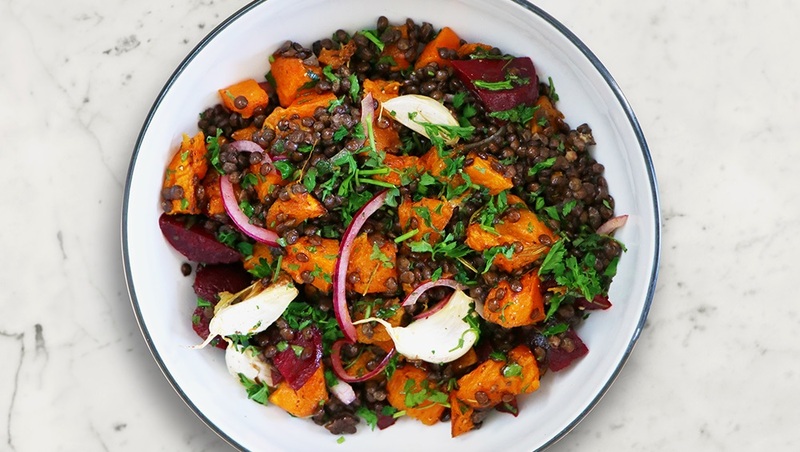 A perfect winter warming salad; my roasted pumpkin and lentil salad recipe, exclusively made for David Lloyd Clubs. This vegan winter salad is one of my favourites. See in the winter months with a gorgeous earthy roasted pumpkin, baked garlic all weaved through warmed lentils and lots of fresh herbs. Winter doesn’t have to be all about heavy stews! Watch the video below and get the full recipe at David Lloyd Clubs blog here.